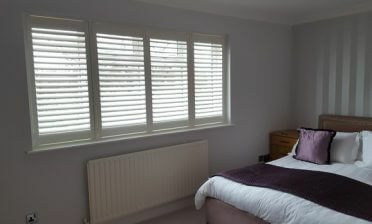 Tom was in Kings Hill in Kent to install these custom made special shape shutters to a clients childrens bedroom. The client approached us looking for a dressing for this awkwardly sized and angled window. As you can imagine this kind of window can be very hard to dress, with blinds and curtains unable to cover the area properly. This window follows the lining of the ceiling and is quite long, featuring 4 individual windows. 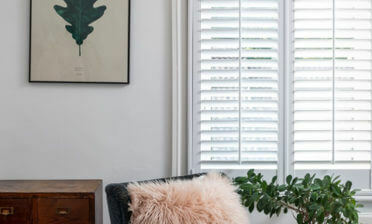 The shutters we were tasked with designing needed to not only fit the window recess millimetre perfect, but the shutter panels and louvres needed to operate correctly even at an angle, opening, closing and adjusting as normal shutters would. As you can see from the pictures the louvres were specially designed and cut to sit level, but in the angled panels. 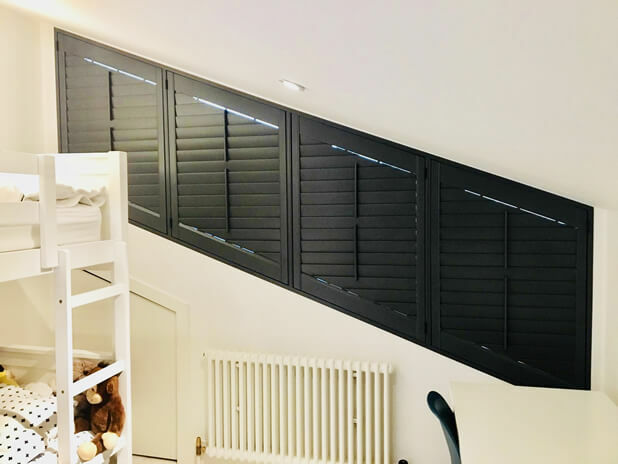 The shutters were designed with a black finish throughout, matching the window colour behind and also acting as a statement feature against the lightly coloured room. 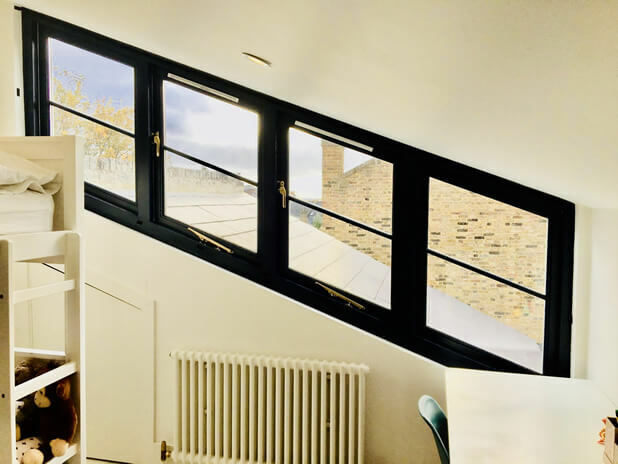 The shutters feature some great detail including an invisible split in the middle, matching the central line of the windows behind and also allowing tilt rods top and bottom to be adjusted separately. 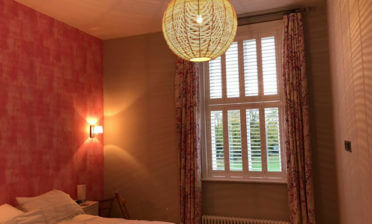 You can see here the window style before shutters were installed. 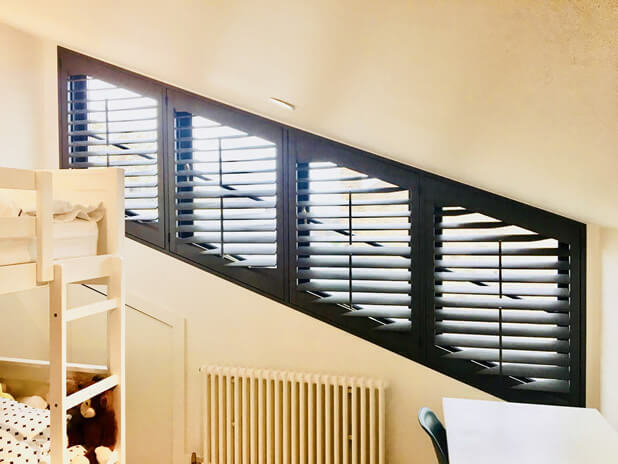 The tilt rods combined with the lightweight Fiji hardwood used allow the children to adjust and open the shutters when required, with 76mm louvres letting in lots of light throughout the day, but also closing up perfectly for privacy when needed. All panels open to the side for full access to the windows behind.